Things are speeding up for the Xiaomi Mi Mix 3. We’ve seen a lot of leaks over the past few months and these have culminated with an image of the smartphone shared by Xiaomi’s president and a short video clip of the smartphone that clearly demonstrates its sliding front camera mechanism. As for the Mix 3’s launch date, statements from company officials peg the device’s launch in October. Xiaomi’s playing a tough game with Huawei and by periodically releasing snippets of information for its smartphones the company ensures that its loyal customers don’t switch. Speaking of which, now we’ve got more information for the Xiaomi Mi Mix 3’s production. Take a look below for more details. 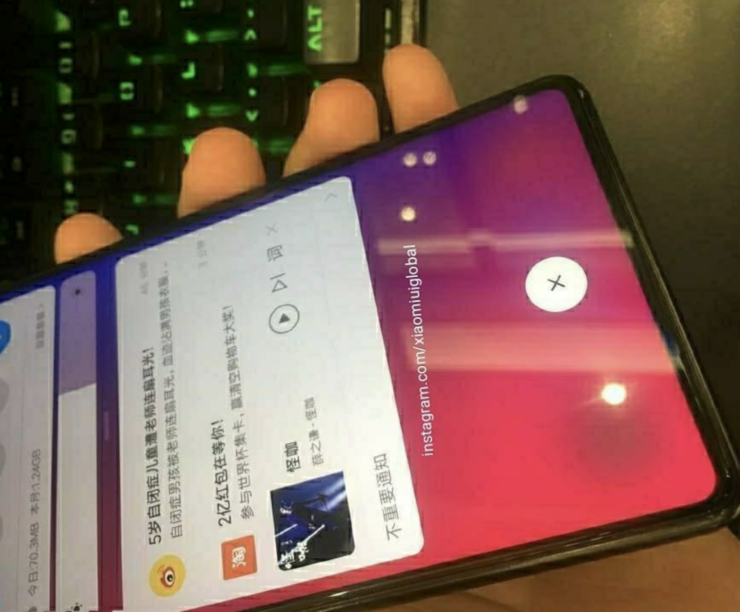 Alongside LinBin’s Xiaomi Mi Mix 3 image, we also got a tentative launch date for the smartphone that has since been confirmed by Xiaomi’s spokesperson. The Xiaomi Mi Mix 3 is expected to launch by the end of October and now, it looks like the company is having difficulties keeping things on schedule. Fresh reports from China claim that Xiaomi’s CEO Lei Jun is now making sure that mass production of the Xiaomi Mi Mix 3 speeds up and ensures delivery by the end of October. Xiaomi’s facing strict competition from Huawei, who also recently crossed Apple to become the world’s second largest smartphone manufacturer. The Xiaomi Mi Mix 3 will depart from the lineup’s iconic design. It is the Mi Mix lineup that debuted a near bezel-free display. Since then, the technology has infiltrated the tech world and also ensured that another trend becomes common. Yes, folks, we’re talking about display notches that are now necessary to house front camera sensors for smartphones. A rather interesting Mi Mix 3 that took place straight off of the testing line, displayed the gadget in its full bezel-free glory. The image, which you can see above, also displayed a rather interesting feature. 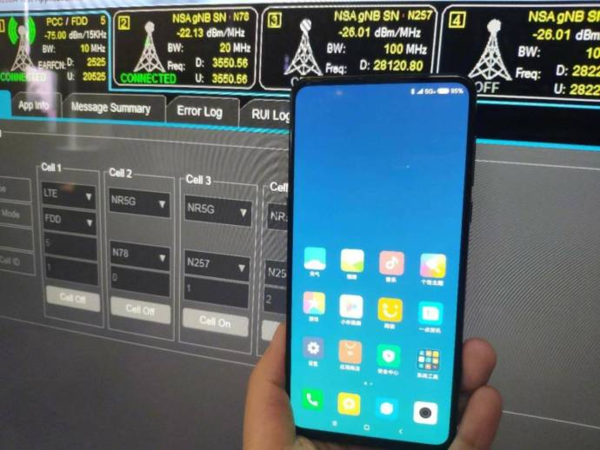 The Mi Mix 3 in the image is connected to a 5G network; which of course leads to the speculation that the smartphone will feature the next generation network standard. However, currently, it’s impossible for Xiaomi to do so – unless it utilizes Qualcomm’s Snapdragon X50 modem. However, the X50, as our regular readers undoubtedly know, is not a part of the Snapdragon 845 SoC. It’s a separate chip that can only be utilized in the form of a dongle as demonstrated by the Motorola Z3. Which naturally leads to the conclusion that if Xiaomi is to introduce the feature on the Mix 3, then it’ll likely be in the form of a dongle. Of course, the relevancy of 5G support depends on carriers and maybe Xiaomi is looking to get an edge over Huawei with it. Thoughts? Let us know what you think in the comments section below and stay tuned. We’ll keep you updated on the latest.